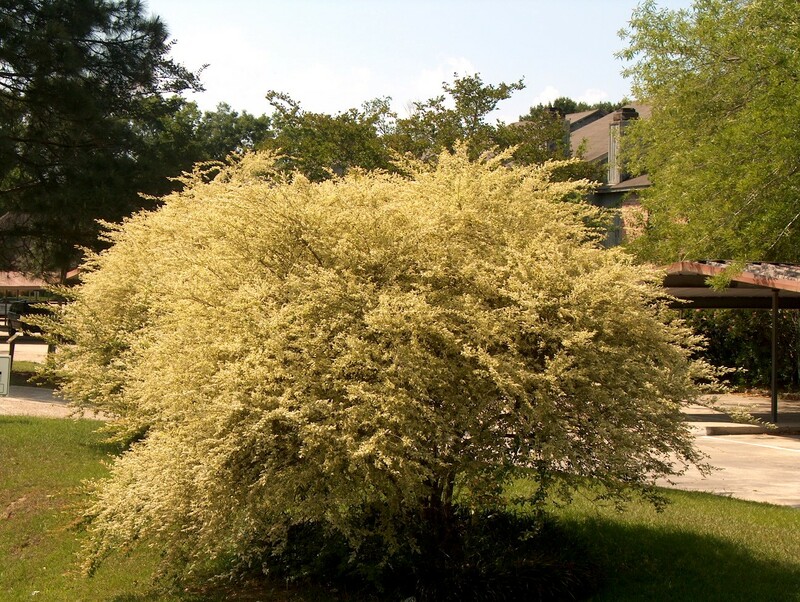 Comments: Distinctive, almost whitish-yellow, foliage makes it a stong accent plant. It withstands urban conditions which makes it a good choice as a clipped hedge or specimen plant. It is a fast grower and requires little care.